JAKARTA (Nov 27): Palm oil exports from Indonesia, the world’s biggest producer, may decline for the first time in at least eight years as the government raises the amount required in biodiesel output. Futures climbed to a two-week high. Shipments are set to drop as much as 10 percent from about 25 million metric tons this year, according to Bayu Krisnamurthi, the head of the government-appointed Indonesia Estate Crop Fund for Palmoil. Demand for biodiesel may climb to at least 7.1 million kiloliters (1.9 billion gallons) from about 1.3 million kiloliters in 2015, he said. Indonesia will increase the mandated amount of biofuel in diesel to 20 percent next year from 15 percent. Rising biodiesel consumption may help extend palm oil’s advance, with prices climbing 26 percent from a six-year low in August on concern that the strongest El Nino in almost two decades and haze from Indonesian forest fires will curb output. “Palm oil is in oversupply and energy is the biggest and the most likely market that can absorb it,” Krisnamurthi said in a Nov. 19 interview in Jakarta. The government is committed to boosting biodiesel demand as it’s cleaner than fossil fuel and the program will help cut diesel import costs, he said. Rising consumption may support palm oil. Prices will range between $550 to $600 a ton in the first quarter and climb to $600 to $700 beyond the second quarter, Krisnamurthi estimated. Palm oil closed at 2,341 ringgit ($553) a ton on Bursa Malaysia Derivatives on Thursday, the highest level since Nov. 9. Prices are up 3.3 percent this year. The success of the plan will rely on subsidies and hinges on gas oil prices, Dorab Mistry, director at Godrej International Ltd., said this month. Any impact on exports may be limited by existing stockpiles of palm oil in Indonesia. 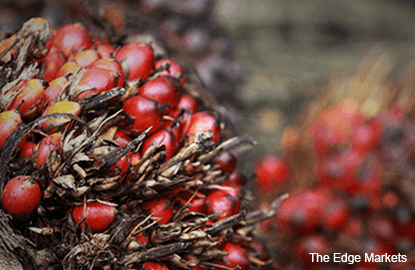 The crop fund collects and manages levies from palm oil exporters, who pay $10 to $50 a ton. The tax income on exports may jump to 9.7 trillion rupiah ($707 million) next year from more than 4.5 trillion rupiah this year, Krisnamurthi said. Levies will be used mostly for biodiesel subsidies, he said. The government could use money from the state budget if funds collected by the levy are not enough, Rida Mulyana, director general of new and renewable energy at the Energy and Mineral Resources ministry, told a conference in Bali on Thursday. The government has to ensure the biodiesel program “continues for as long as we can,” he said. Palm inventories in Indonesia were estimated at 2.94 million tons at the end of September, according to a Bloomberg survey published last month. Reserves in Malaysia, the world’s second-biggest producer, rose to a record 2.83 million tons in October, Malaysian Palm Oil Board data showed this month. Indonesian palm oil production will stagnate or fall about 3 percent to between 30.6 million tons and 32.3 million tons in 2016, Krisnamurthi estimated. Low crude oil prices, resistance from auto makers in Malaysia and insufficient supply chain infrastructure in Indonesia have contributed to lower-than-anticipated biodiesel use in both countries, Fitch Ratings said in a Nov. 23 report. Crude oil has slumped more than 40 percent in the past year amid speculation a global glut will be prolonged. Rising use in biodiesel could be a “game changer” for palm if demand in Indonesia exceeds market expectations of as much as 3.5 million tons and reaches “blue sky” scenario of 7 million tons, Ivy Ng, regional head of plantations at CIMB Investment Bank Bhd., said in Bali on Thursday.